Dukes College is an exciting opportunity for Wellington students to earn college credit while still in high school through a partnership with Lorain County Community College. Students taking advantage of the program have the opportunity to graduate high school with both an associate degree and a high school diploma, free of charge. Students may join the program at any time, and take advantage of customized 15 and 30 hour pathways. In addition, students who successfully complete the program will automatically receive scholarship funds to finish a bachelor’s degree at Lorain County Community College through the University Partnership. 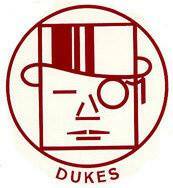 Click here to see the Dukes College 15-30 credit hour CCP pathway.